It’s time to conquer that sweater making goal you’ve had for so long! 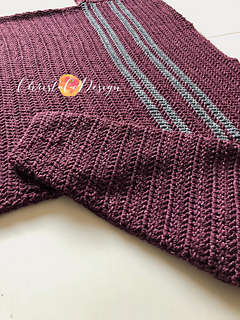 This Simple Striped Sweater is perfect for beginners-crocheted flat in rows and seamed together it’s about as simple as it gets. The sleeves are worked flat from the wrist up so you’re increasing as you go-so much easier than decreasing, right? That’s about it as far as shaping goes. 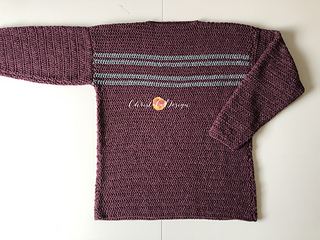 I left the neckline simple and easy. This sweater is perfect for the hubs or maybe an oversized version for yourself! 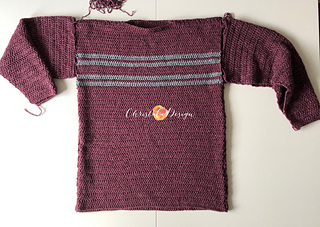 I’m normally a women’s medium so I’d probably make this one in a men’s small for myself. 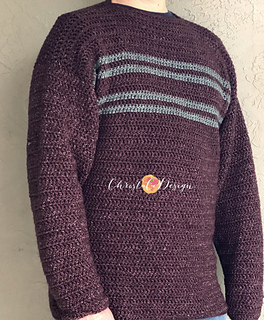 The fit chart includes chest measurements so you can find the perfect fit for your husband or yourself, or whoever (or maybe it’s whomever-I should know that) you choose to make this for! Men’s Sizes S-5X. Comfortable and roomy fit with 4” of ease. 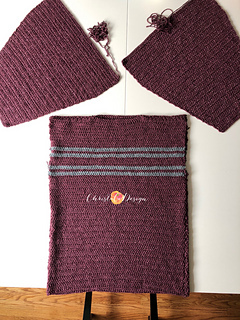 Measurements are taken before blocking/wear. 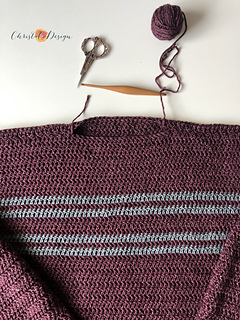 The length reaches just past the bottom, to adjust length add or subtract rows before the striped section.